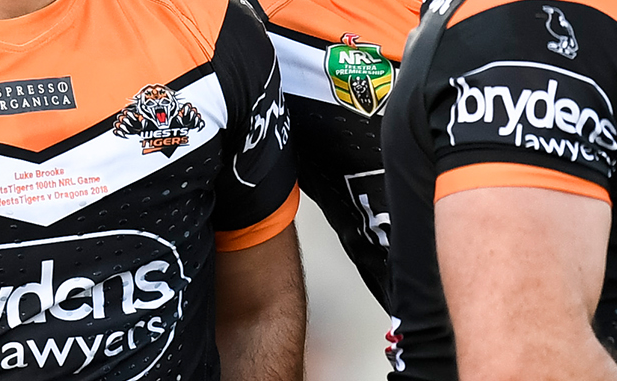 Wests Tigers will be gunning for back-to-back victories to start 2019 when they host the New Zealand Warriors at Campbelltown Stadium this afternoon. With clear skies, and off the back of a strong 20-6 victory over Manly at Leichhardt last week, a big crowd should fill our Western Sydney home against an opponent also coming off a dominant Round 1 win. However, the side will face a step up in class today against a physical and fast Warriors’ team that towelled up the Bulldogs 40-6 in Round 1 in Auckland. A similar looking Warriors’ side outmuscled the Wests Tigers 26-16 in a trial match just three weeks ago. 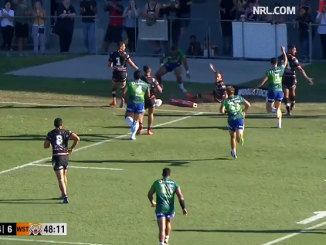 The Warriors also won these two sides only clash 26-4 in Auckland in 2018, dominating the match physically from start to finish. The most impressive feature of the Tigers’ Round 1 display was the use of four forwards on the bench, with Michael Maguire clearly wanting to impose a more direct style, where the team can match bigger sides for longer periods. The likes of Josh Aloiai and Thomas Mikaele provided great impact and leg speed off the bench in wet conditions, as the Tigers totally dominated Manly in the second half. Maguire will also be very wary of Warriors’ fullback Roger Tuivasa-Sheck who is a player at the peak of his powers right now. The Warriors’ wingers in Maumalo and Fusitu’a are two of the best in the game, especially at running out of dummy half and trying to get quick play the balls for their team. Despite having lost Shaun Johnson in the off season, Tuivasa-Sheck acts as a running and ball playing threat, with Blake Green likely to take on a larger role in terms of organising and playmaking. Issac Luke is named to start his first game of the season after missing Round 1 through injury. The Tigers spine will want to replicate their really strong short kicking game last week, which forced six line drop outs against Manly. Robbie Farah, always a danger close to the line, will be looking to catch out some lazy defenders close to the line on what is looking like a hot day. Luke Brooks and Benji Marshall will get a better chance to show what they have worked on under Maguire offensively, after the deluge in the first half last week scuppered a number of set plays. The Tigers have a number of Kiwi players in their team, including the likes of Marshall, Esan Marsters and two of our senior forwards Russell Packer and Ben Matulino who will need a big game against some of their fellow countrymen if the Tigers want to match the Warriors. The Tigers are hoping to welcome back fullback and new captain Moses Mbye who missed last week with a knee complaint. Mbye impressed after joining the Club halfway through last season, but will want to take his game to another level this year given the added responsibility. It’s shaping as a great afternoon of football, with Wests Magpies also taking on the New Zealand Warriors in the Canterbury Cup at 3.55pm this afternoon. The Magpies scored a convincing 23-4 victory over Blacktown in Round 1 at Leichhardt Oval. Josh Reynolds has not been named, but could be in line for some game time, whilst Jacob Liddle is out injured.